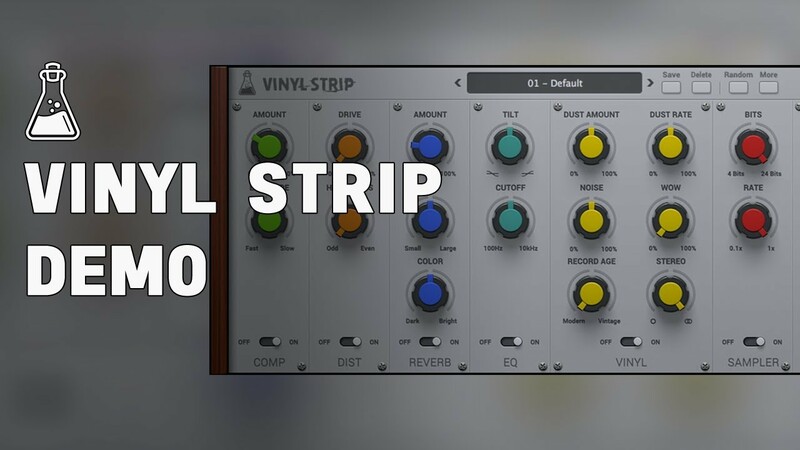 Vinyl Strip is a multi-effect plugin featuring 6 modules: Distortion, Compressor, Bit Crusher, Tilt EQ, Vintage Reverb, and Vinylizer. The modules can be arranged in any combination by simple drag-n-drop. 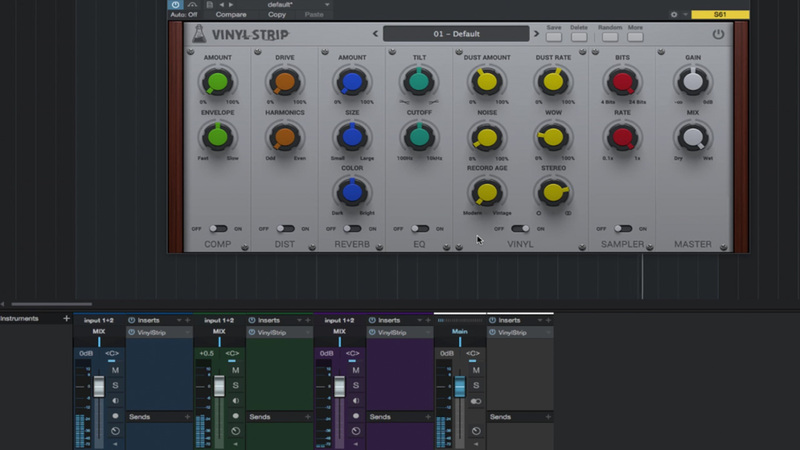 Vinyl Strip will add life and an old school touch to your samples and tracks, and achieve that classic vinyl record sound in your digital environment. The plugin is optimised to be lightweight on the CPU. 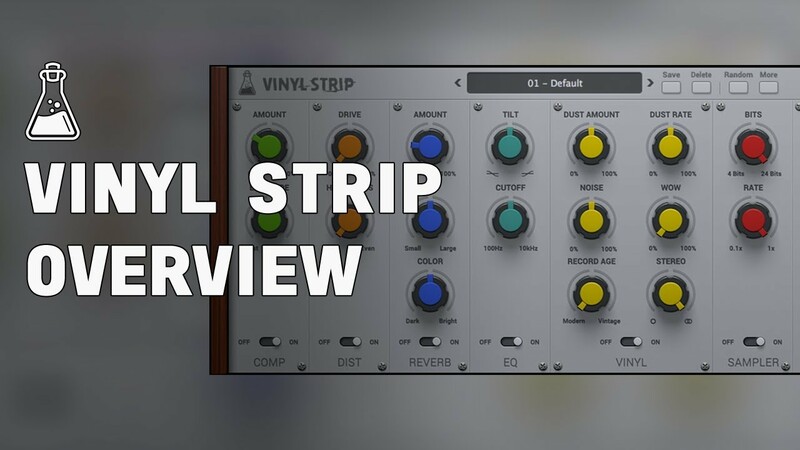 Much more than just a vinyl emulator, Vinyl Strip features 6 modules dedicated to recreating that classic vintage/old school sound of vinyl recording and sampling. You can customize your channel strip with a simple drag-and-drop. By default, all modules (except the Master module) can be moved and re-arranged to create different signal flows. Beat Magazine. German specialist magazine for music, production, and DJing. Try Vinyl Strip for free with some limitations: silence for 3 seconds every 45 seconds, saving disabled. If you like it, you can purchase a license and then authorize the demo version.